Despite being a professional outfit maker I’m not great at Halloween costumes. I always tend to make them look like something I would wear on any other day. As I get older and the allure of partying in a crazy costume is less and less exciting, so I’ve come to appreciate my interest in subtlety! Below are 5 products to get you started. WINGS: So sweet! Angel costumes have always been a go to, but Claire Danes party look is extremely elegant. 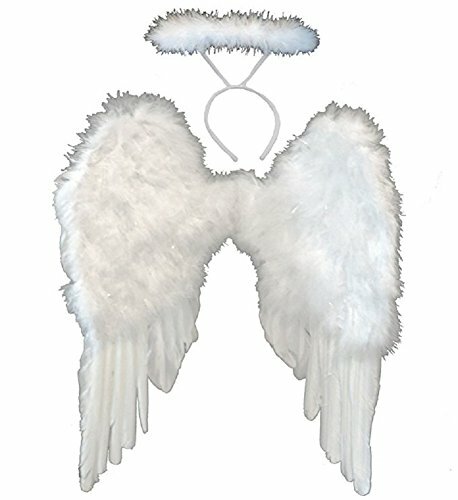 She skips the halo and opts for a simple, long white dress and dramatic wings. Very easy to recreate without doing too much shopping. CHARMS: The sacred heart image featured throughout the film, most prominently on Romeo’s button down shirt, would be a really fun thing to sneak into a costume. 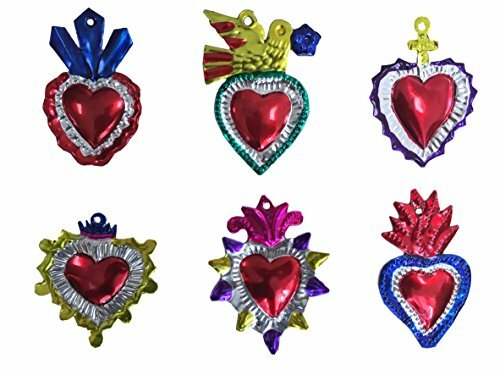 These handmade ornaments could easily be turned into earrings or lapel pins as a nod to the films artistic elements. 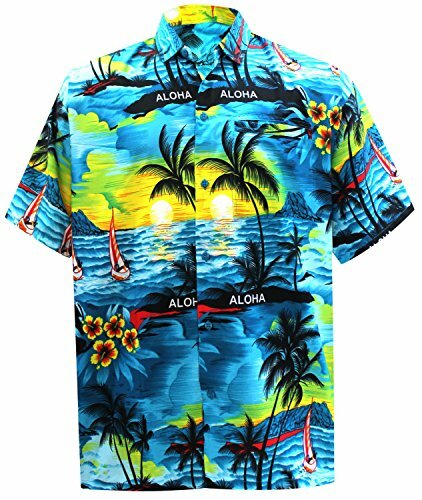 LA LEELA Likre Casual Camp Shirt Teal Blue 293 7XL | Chest 70" -72"
SHIRT: Really any hawaiian shirt will do to get this point across. Worn open with a stomach band aid, Dickies chinos, and a little bit of blood smear this lazy costume concept is festive, unisex, and not over the top. 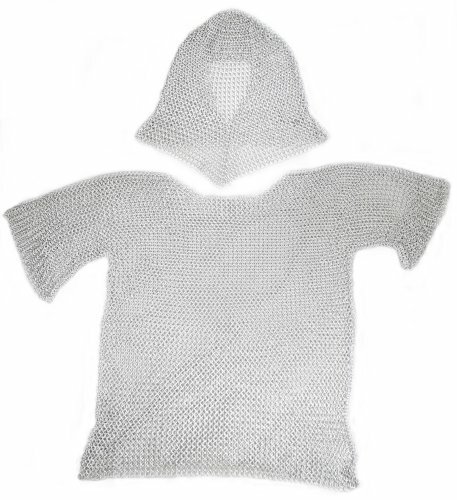 CHAINMAIL: It’s incredibly cool that chainmail is available on Amazon, who knew! I was thinking about Romeo’s party look, and a full knight armor set would be a fresh way to reference the movie and wear an item of clothing otherwise deemed a little insane for the day to day. WIG: In the film Jamie Kennedy has a hot pink buzz cut. I’ve seen costume iterations that include a neon wig, let’s face it Leo’s boy band haircut is a pretty important part of this look! A wig immediately implies one is dressed up and eliminates the need to get highlights.